Asbestos is used in innumerable products installed in industrial lots, shipyards, offices, libraries and other commercial buildings due to its cost-effectiveness, high-durability and fire-retardant properties. Another fact is that asbestos, when disturbed, is a serious health and life hazard. Therefore, it is legally and otherwise necessary to get asbestos abatement and asbestos disposal from certified professionals before demolition/renovation activities are started in commercial buildings. 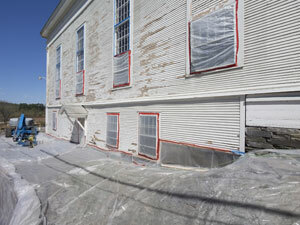 We provide customized asbestos abatement solutions. Our asbestos abatement technicians inspect every jobsite minutely to determine specific asbestos abatement needs before proceeding to fulfill them with cutting-edge asbestos abatement tools & technologies. Aware businesses that recognize the real dangers of asbestos exposure and care for their employees should call us for thorough asbestos abatement and asbestos disposal today! As in commercial settings, it is quite common to find asbestos in homes, especially the older ones. 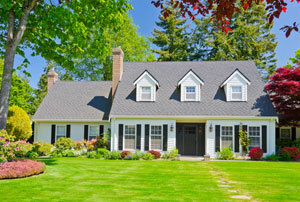 Roof shingles, floor tiles and window glazing are some forms in which building contractors use asbestos in homes. It can be extremely dangerous to have asbestos in homes. Stirring up asbestos in homes during remodeling or demolition releases asbestos dust and fibers, inhaling which can cause severe respiratory and cancerous conditions. Our technicians are trained in removing asbestos in homes without exposing the inhabitants to any harm. We are driven by our excellent reputation for consistent delivery of high quality asbestos abatement and asbestos disposal services. The size of the asbestos abatement and asbestos disposal project does not impact the level of sincerity and competence with which we work. Our experienced asbestos disposal technicians and effective asbestos disposal methods give our customers the complete satisfaction that comes from a job well-done. Trust Puget Sound Abatement to handle asbestos in homes and business places in the best possible way. 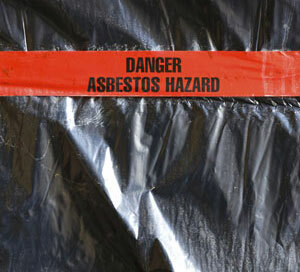 Call (425) 251-0864 for asbestos abatement and asbestos disposal services.